While it is not a problem in most parts of the world, sharing your data connection is not as simple or free in some parts such as the United States. Being able to tether your phone’s internet when you’re out somewhere with no Wi-Fi can be a lifesaver. 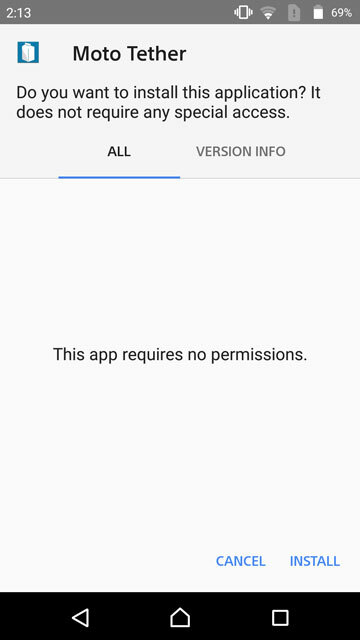 But some carriers block this feature, which is available on every Android phone if you buy your phone directly from them. Carriers, in general, expect to be paid an additional fee if you want to use your phone’s data connection to access the Internet from a laptop, tablet, or another device. If you get an error message when trying to tether that says “Account not set up for tethering” it means your carrier has blocked it. You have a few options for bypassing the carrier block and one of them includes using a third-party app. A single third-party app does not always work on every phone. Even if it does work now, it might not continue to in the future. Clearly, this is not an ideal solution, but if your device is not rooted, third-party apps are your only choice. The app is pretty simple to use as well. Just open it and enable the Activate WiFi Hotspot checkbox. Choose a network name (SSID) and password for your WiFi hotspot. You should then be able to connect to the Wi-Fi network from your laptop, tablet, or any other Wi-Fi-enabled device. 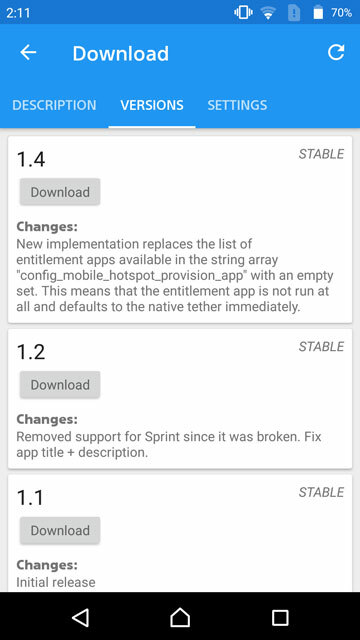 FoxFi’s Play Store page has information specific to different carriers, phones, and Android versions in case you encounter any problems. Although the WiFi tethering does not work on every Android phone that exists, it does work on most phones. 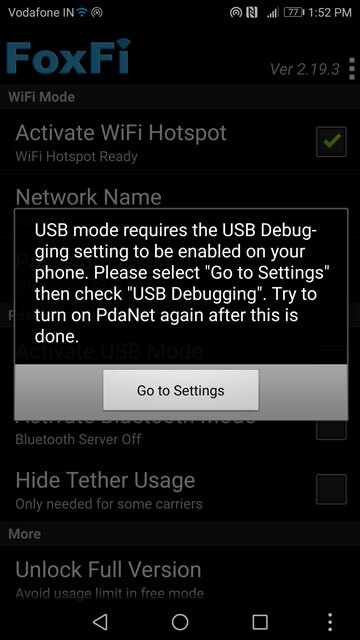 The app also allows USB tethering and Bluetooth Tethering which do work on every Android phone. This works thanks to technology from PdaNet, which is another app you can use. The app works quite similar to FoxFi and even looks the same with that old school UI design from Android’s Gingerbread days. 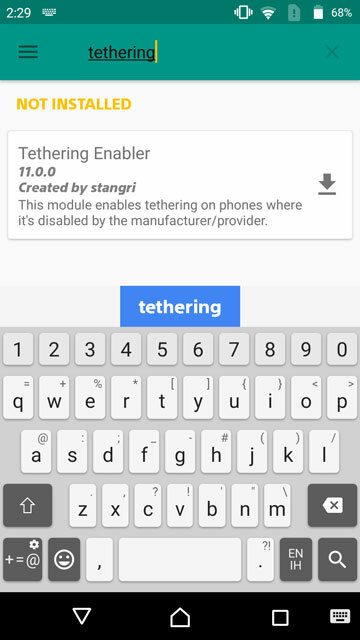 If you have a rooted device, you have a much better option: re-enable Android’s built-in tethering. You have a couple of options as to how to do it as well. If you use the Xposed Framework, which is a must for every Android user with a rooted device, you can use a simple Xposed module. Xposed is not available for devices running Android 7.0 Nougat or above, however, at least not officially. Luckily, there is an even better option if you have rooted your device with the Magisk systemless framework. Magisk is available for almost all Android devices and it does not even trip the SafetyNet check, unlike Xposed. 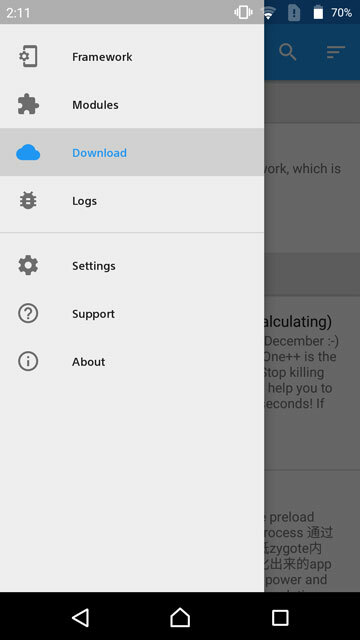 Launch the Xposed Installer app and head to the Download section. Tap on the search icon at the top and type X Tether. 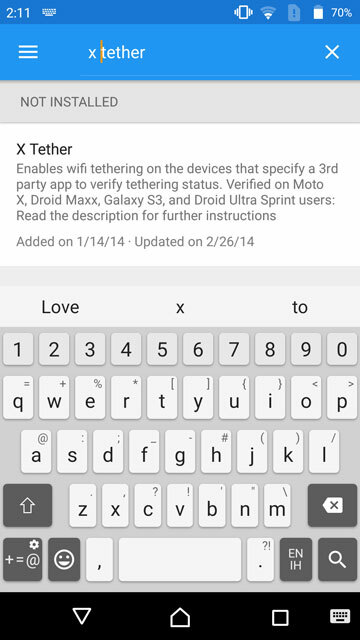 Tap on the first search result that says X Tether and then swipe to the Versions tab. Hit Download and when the download is complete hit INSTALL. When the module is installed, you will see a notification asking you to activate it. Tap on ACTIVATE AND REBOOT on the notification or manually activate the module by going to the Modules section on the Xposed Installer app and reboot. 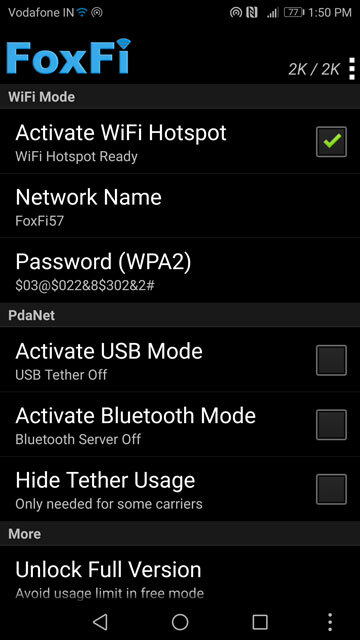 When your phone comes back up, you should be able to tether your mobile data using the built-in hotspot features of your Android device. Open the Magisk Manager app and head to the Downloads section. Tap on the search icon in the top-right and type tethering. 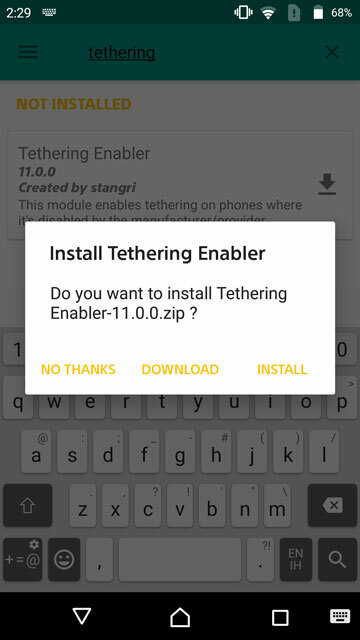 Tap on the Download icon on the first search result which will be Tethering Enabler. Select INSTALL on the pop-up dialog. The zip file will then downloaded and automatically be flashed. 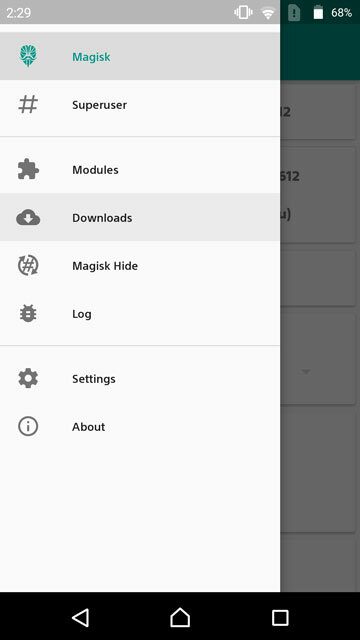 Like with Xposed modules, you’ll need to head to the Modules section of the Magisk Manager app and activate the module. Once activated, reboot your device and you’re done. 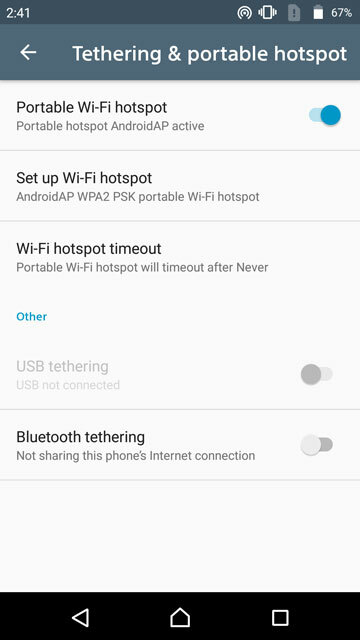 Once you’ve re-enabled it, you can create a WiFi hotspot with your device to use your mobile data connection.For those who’ve never done it before, you can do so by heading to Settings > More > Tethering & portable hotspot. 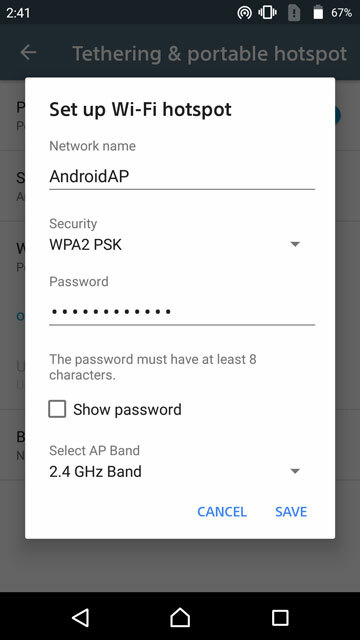 Here, you can set up the network SSID and password and then enable it with a simple toggle. 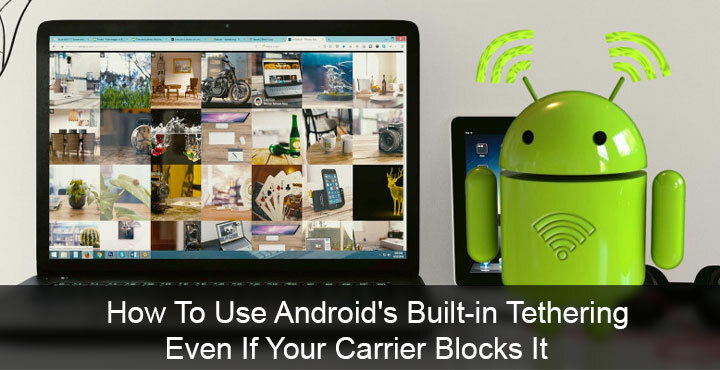 This article refers to device level tether/hotspot blocking not a carrier-blocking workaround. The title should be changed to be more relevant. The info regarding Magisk is also out of date. 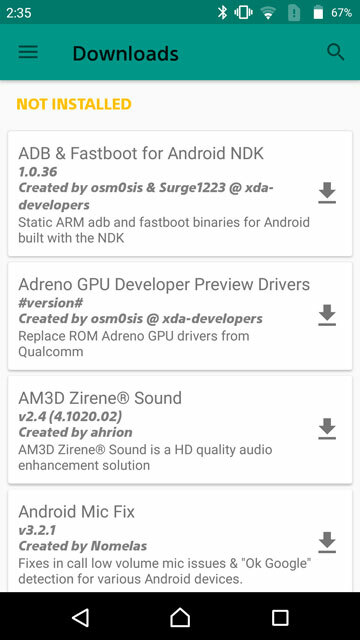 Hi, on which device and Android version did you try the methods described in the article?